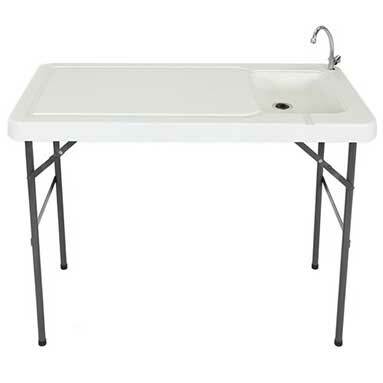 A fish cleaning table with sink is a handy fishing accessory that will get a ton of use. It is ideal for cleaning fish and prepping it for packaging or the grill. 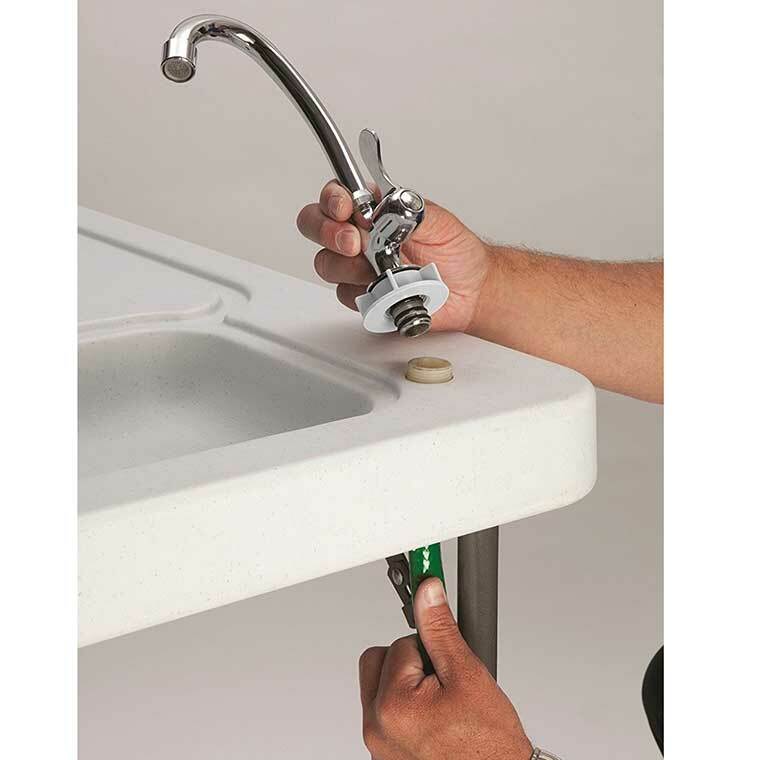 The sink faucet is stainless steel and has a garden hose hook up for easy water access. Cleaning fish can be a mess. It’s nice to have a designated table to clean fish so you don’t have to get all the fish slime in the house. This table by Best Choice Products has a built in water spout so you can easily connect the hose and have running water. 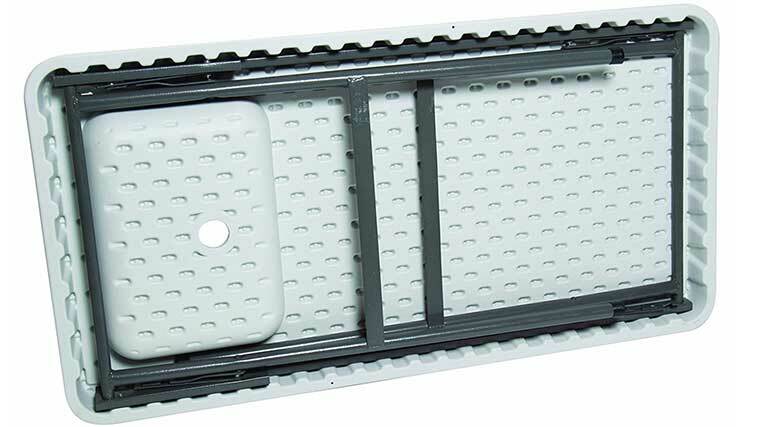 This plastic table is lightweight and collapsible, making it portable and easy stored. The multipurpose fish cleaning table with sink is also great for camping, hunting, or outdoor cooking. The overall dimensions are 46 x 24 x 37 inches. If you have questions or comments let us know below and we will get back to you ASAP.